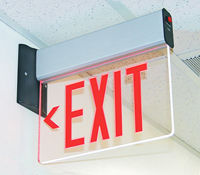 Surface mount LED Exit Signs are edge-lit and offer an elegant look. Easily install this sign onto any flat surface. • Surface-mount units include a tri-mount canopy for top, end or back-mounting convenience. • A UV-stabilized, clear acrylic panel is ideal for upscale offices and establishments. • Ultra-bright LED offers high illumination and low energy requirements. • Add .6 pounds to the sign weight when adding Remote Capability. • Need emergency battery backup? Check off the "Battery Backup" icon below and add a battery! Because it is clear, it blends in nicely with the surrounding area. 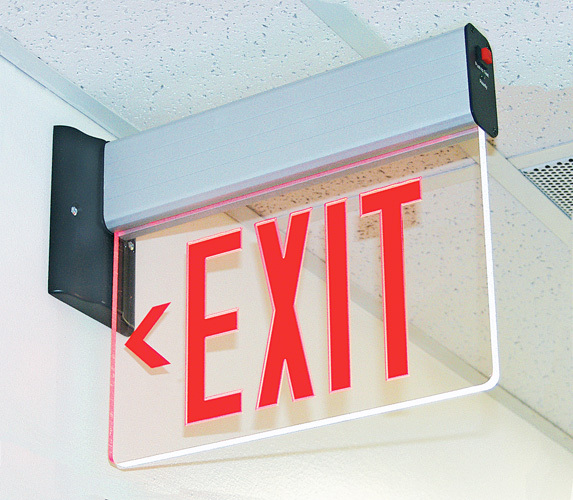 The word "EXIT" lights up nice and bright. I would recommend this item.